This delay was not intentional but I found myself not able to start the challenge immediately. This week, all I have been doing is low impact in nature. I got some nice fitnessblender videos on YouTube which had helped me to keep everything low pace and sweaty too. I realized about ME, that to see a significant weight loss on the scale and measurements, I have to do at least 250 minutes a week of 80% HIIT or over 300 minutes of moderate exercise. Some medical constraints will not allow me to do any HIIT this week, so that is the cogent reason for the slight delay. I am doing a meal plan for the next one week today, and I will do that today. It helps me a lot [I have done it before], I am released of all the stress accompanying "what will I cook today" and I am able to shop in a more healthy manner as I prepare for the coming week. 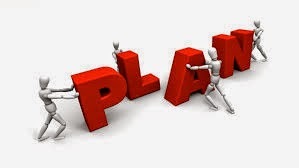 In short, planning is very essential to life and living. When you plan yourself, you are relieved of the headaches that comes with making decisions. You find yourself just slipping effortlessly into your timetable. Meanwhile, some people are more convenient with this fire-brigade approach to life. They will never do a thing till it is at the late hour and as such things are done haphazardly. We can learn to organize our life, we can learn to plan. I read a friend's blog yesterday who has planned her exercise for the remaining months of the year [why wouldn't she lose weight in a healthy way]. I felt really challenged and the dire need to plan ahead is on my mind right now. Sometimes, the best of plans meet with unplanned life challenges - like the "medical constraints" - that is the place of Plan B. 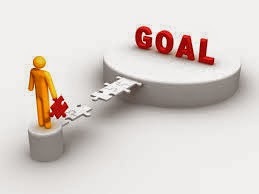 Note this that not meeting goals or not working according to plan is never a do-or-die affair, and that is why planning ahead covers all these "in case". There is no error in failing, the error is not making amends to forge on. As you go through your daily routine today, plan. It maybe late right now depending on when you are reading this blog, trust tomorrow is another good day to start. Keep at it and you will get there.